Grant McCartney, known as the Island Ninja, is one of American Ninja Warriors most recognizable athletes. Between his dynamic personality, dance moves, and fun-loving attitude it’s no wonder he has created such a name for himself, but there is so much more to Grant than the charismatic, dancing machine you see on the show. No stranger to pain and adversity, Grant realized the platform he had been given could be used to be a voice of hope for people that are going through some of the same struggles he went through. When Grant was just a freshman in college he found his mother, who had struggled with drug and alcohol abuse, on the floor as she tried to take her life; thoughts of his own suicide haunted him as he tried to deal with his own grief. One of the ways he overcame his pain was through athletics and obstacle training. Learning how to navigate through the physical obstacles of a course set a tone for learning how to overcome obstacles mentally. 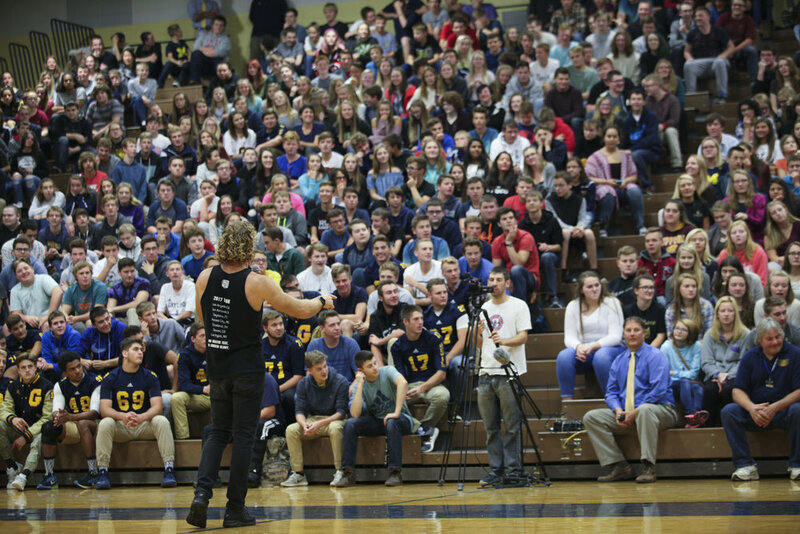 Grant now travels the nation speaking to kids and adults about his story; how you can take the darkest situation and use it to bring hope to others. His charisma and energy will instantly draw you in, his story of turning ashes into beauty will captivate you and his message of “your life’s story having a purpose” will leave you feeling empowered and uplifted! His is a message that kids and adults need to hear.